Cut all rectangles! No curved piecing - yes, that's right! Mini-Mariner's Compass Pack - Makes 4 compasses. 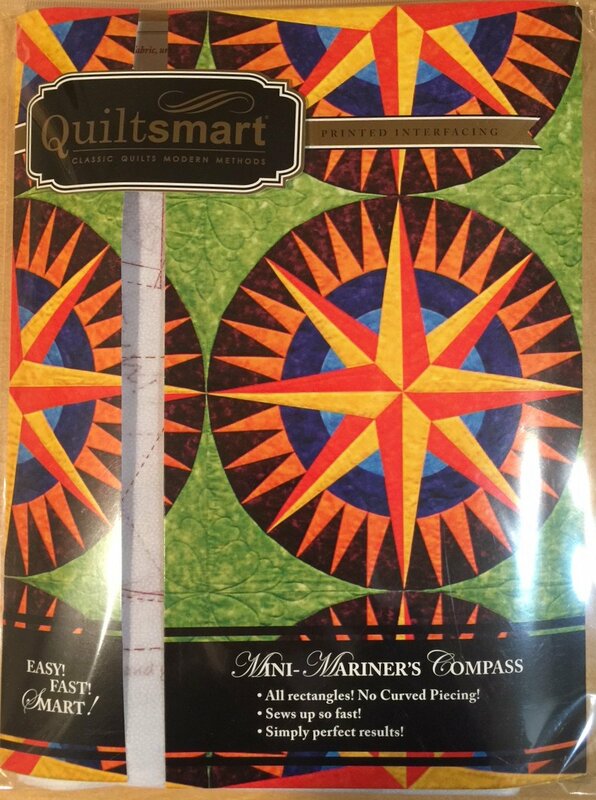 This pattern is traditionally difficult, but not with Quiltsmart! Perfect without even trying! Kit includes instructions, and 8 panels of interfacing. Each panel makes one-half of a 21" compass.